I’m an ambitious list maker. And if I achieve things on my list, I add more things. When I started writing down what I wanted to accomplish in 2018, the list was getting out of control. I don’t want to set myself up for failure – with a list too long to possibly achieve. I thought about Crystal Moody of A Year of Creative Habits. Crystal picks one word to be the focus of the year. Okay so maybe I can’t pick just one word, but I like how simplifying things to a few words can guide your year, while still allowing for things to evolve. For 2018 I’ve selected the words Paint, Teach, Share, and Connect. Paint. It sounds so simple, but I like to remind myself that creating is the reason for blogging, posting, pinning, etc. Painting is the core of it all. I’m continuing the theme from last year of Painting the Ocean in watercolor. Share. This past year I made my work available in a few ways. I started selling prints of my ocean watercolors online at shop.eileenmckenna.com. Through Zazzle, my artwork is available on cards, mugs, and ornaments. 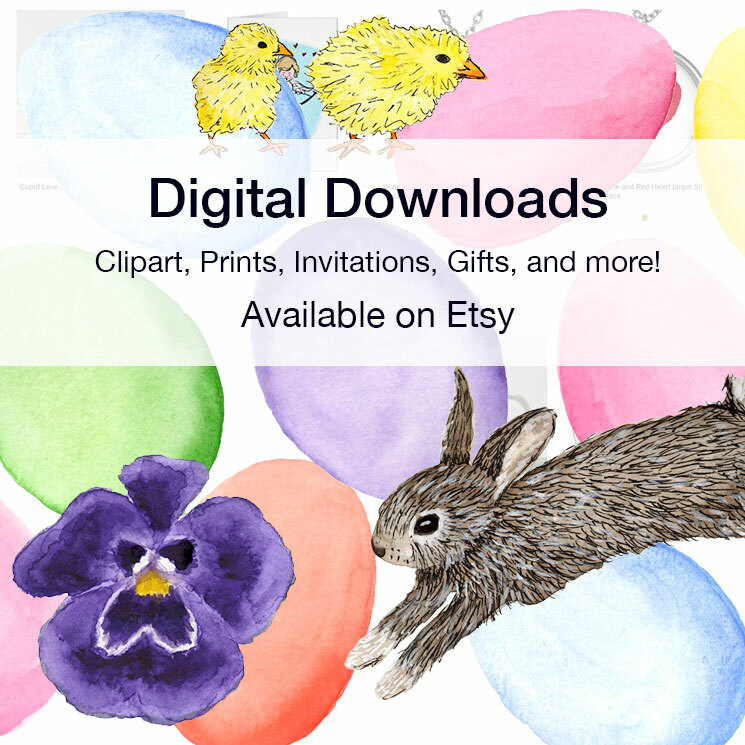 I’ve added to my designs that are available as fabric, gift wrap, and wallpaper through Spoonflower. As much as I enjoy creating, artwork stacks up in a drawer. It’s exciting to put it out into the world and fulfilling when others enjoy it. Connect. This year I connected with Mary of the Daily Sew. Mary created an awesome drawstring bag, and a free downloadable pattern, using my Swimming Laps fabric. I also connected in person with Erin Andrews, the Interior Designer behind Indigo House Interiors. 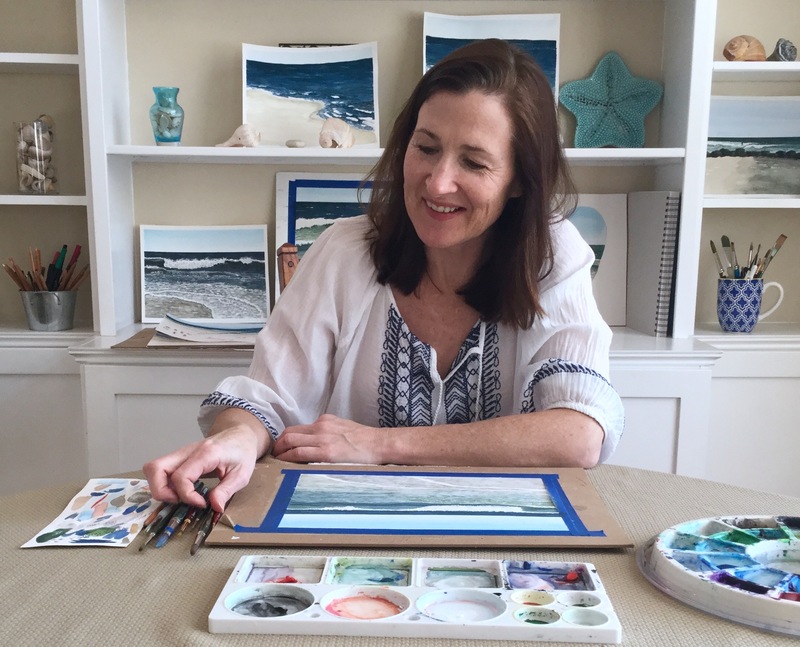 Read her post “A Coastal Inspired Holiday.” I’m very excited to have someone local that I can meet for coffee and talk about creative projects, business, and blogging! I hope to continue connecting with other creatives in the new year. These words for 2018 – Paint, Teach, Share, Connect – offer goals, but also flexibility. Here’s to a creative new year! Read my 2017 year in review here. Categories: Resolution | Tags: creative, Plans, resolution | Permalink. Thanks Karen! Believe me I’ve been recovering on the couch myself! Thank you so much Raadhaa! Wishing you a happy a creative new year!